SEATTLE, WA, USA, February 28, 2017 /EINPresswire.com/ — Starting this summer, Beer lovers in Portland, Vancouver WA, Eastern Washington and Northern Idaho will be in for a real treat as the award-winningest brewery in Washington state, Reuben’s Brews, expands distribution. This coccyx cushion eases sacrum pain and delivers the sciatica pain relief you’ve dreamed about. Tens of thousands of customers are extremely happy and satisfied that they've found a solution to their lower back pain problems using the Liliyo™ Seat Cushion. NEW YORK, NEW YORK, UNITED STATES, February 28, 2017 /EINPresswire.com/ — Tremendous feedback from customers who have been using Liliyo’s original Coccyx Seat Cushion to ease their coccyx pain, has been heard throughout all of 2016. Here's what one Amazon customer (M.Mak) had to say: "This made so much difference for me! I have severe tailbone pain and have tried 3 different pillows, and this is the keeper! I love that it comes with extra covers, and the handy carrying case is really nice as well. The coccyx cushion is contoured nicely and fits my behind really well, leaving the hole for my tailbone in the right place, and puts no pressure whatsoever on my coccyx. Finally, relief! There's no undue pressure put on the back of my thighs either, and I can push the cushion forward or backwards so it sists in just the right place. It works great in the car, on the floor, in a chair, on the couch, everywhere I've tried it. It's really been worth every penny and then some. I'd have happily paid twice the price for this much sacrum pain relief and ease of use. Donut pillows didn't do it, because sitting in a hole didn't allow me to get the pressure off my tailbone without sitting in a slouch position which hurt my back. A solid cushion didn't help, because there was still pressure on my tailbone which was the problem to begin with. This pillow feels firm when you squeeze it, but doesn't feel hard when you sit on it. It gives nicely, but also supports you and keeps you comfortable. It takes all the pressure off your tailbone and allows you to sit in a normal position, which also supports your back. So if you have back issues (which I also do) this is really an excellent cushion and the best of all the ones I've tried. I highly recommend it." PUNE, INDIA, February 28, 2017 /EINPresswire.com/ — Glass is a 100% recyclable material manufactured with raw materials that include sand, limestone, soda ash, and other ingredients. Glass Containers are made using processes such as Blow-Blow, Press and Blow, and NNPB (Narrow Neck Press and Blow) – a recent innovation. The global production of glass containers in 2014 was 48.64MMT and is estimated to reach 59.27MMT by 2020,at a CAGR of 3.35%, while in terms of revenue, the market was worth $48.30 billion in 2014 and is projected to reach $61 billion in 2020, at a compound annual growth rate of 4%. APAC region leads the market with a market share of 34% in 2014 while; on the other hand, Europe had a share of 29% during the same period. Added to this, estimated growth rate in glass bottle end use industry i.e., Beer industry in India, will further boost the sales and increase market share in the APAC region. From end-use industries side, Alcoholic beverages lead the usage of glass containers with a market share of 50%. Glass bottles are preferred over plastic bottles because of its chemical inertness towards the alcohol and thus, can be substituted. Glass Container industry is undergoing tremendous innovative changes in order to be more sustainable and customer preferable. As such, light weighting of glass bottles has become a focal point in the industry and as a result, glass bottles have become light by 50% as compared to 3 years. Light weighting aids in decreasing the logistics costs and thus, manufacturers of glass containers are more focusing on the same. Market Definition for the Glass Containers along with identification of key drivers and restraints for the market. Market analysis Glass Containers Market, with region specific assessments. Identification and analysis of the Macro and Micro factors that affect the Glass Containers Market on both global and regional scale. Outdoor furniture, is a type of furniture specifically designed for outdoor use. With attractive designs, rugged styles and functionality, the popularity of outdoor furniture have gone up. Residential segment occupies a prominent position in the outdoor furniture market and accounts for a major share in the total demand for outdoor furniture. Fashions and trends in home decorating and housing sector, lifestyle trends such as expanding outdoor space by using items such as furniture and cocooning augments the growth of the market. Latest trend shows that outdoor furniture is growing due to factors such as demand for recycled plastic lumber popularly known as EnviroWood. This is backed by government initiatives, where government is funding more to open spaces such as public gardens, sport areas and others where people can relax. The North America region holds largest share due to the presence of global players. Rising concept of lavish outdoor living spaces with new materials, comfortable seating and elaborate lighting fuel the market for outdoor furniture. Additionally, housing sales, outdoor renovation and environmental concerns are some of the factors boosting the market. Moreover, busy lifestyle and less amount of leisure time encourage the population to enjoy the outdoor living culture. This trend led to an increased preference for outdoor living culture that eventually raised the demand for outdoor furniture products. The U.S. accounts for the largest share in the North America outdoor furniture market with a growth rate of around 5% during the forecast period. This study provides an overview of the global outdoor furniture industry, tracking two market segments across four geographic regions. The report studies key players, providing a five-year annual trend analysis that highlights market size, volume and share for North America, Europe, Asia Pacific, and Rest of the World. The report also provides a forecast, focusing on the market opportunities for the next five years for each region. The scope of the study segments the global outdoor furniture market as product, and material. On the basis of product it is segmented as general furniture, grills, patios, and others. On the basis of material it is segmented as metal, plastic, wood and others. 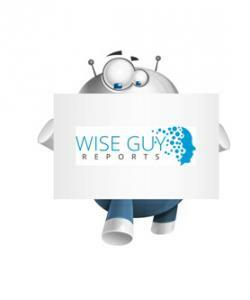 Global Cement Market, By Type (Rapid Hardening Cement, Low Heat Cement, High Alumina Cement, White Cement, Colored cement, Hydrographic cement and other), By Application (construction, infrastructure) – Forecast 2016-2022. Wiseguyreports.Com Publish New Market Research Report On-“Global Portable Fan Market 2017 Trends, Sales, Demand, Growth & Forecast to 2022”. Wiseguyreports.Com Publish New Market Research Report On-“Peanut Paste Global Market Production, Capacity, Price and Growth Rate Forecast To 2021”. Peanut Butter & Co .
Market Analysis Research Report on “Global E-cigarette Market 2017 Industry Growth, Size, Trends, Share and Forecast to 2021” to their research database. E-cigarette market research report provides the newest industry data and industry future trends, allowing you to identify the products and end users driving Revenue growth and profitability.